Discovered el Centro today. Started off the day with a delicious tamal and jugo from the street sellers below Paulina's apartment in Polanco. A cab ride later and several hours on our feet we had wandered around the oldest colonial city in the "new world". 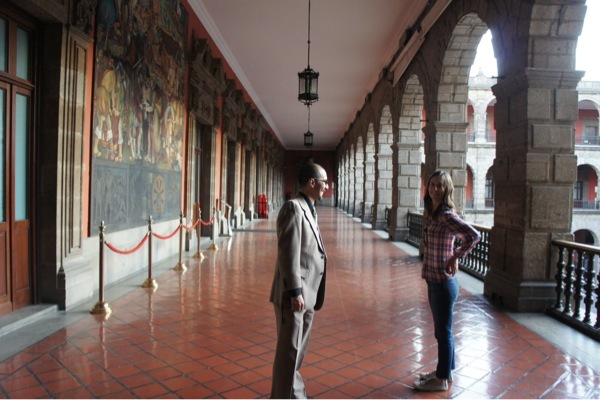 From the Aztecs to Hernan Cortes via a private tour of the Palacio National.